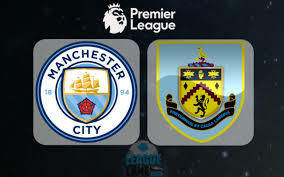 The champion Manchester City hosts Burnley in a match from the 9th round of the Premier League. Let’s take a look at this clash at the Etihad Stadium on Saturday afternoon. Manchester City are leaders in the standings with 20 points, being on par with Chelsea and Liverpool, but having a better goal difference. Since the start of the season, Pep Guardiola’s team have scored 21 goals and conceded just 3. In the previous round Man City had a tough visit to Liverpool at the Anfield, which ended with a 0-0 draw. But City are the team which should regret more about this result. The Cityzens recieved a penalty kick just few minutes before the end of the game, but Riyad Mahrez sent the ball above the crossbar. It was dissapointing performance by the Algerian, but Mahrez was defended by Guardiola after the match. Still, Manchester City can be happy with this result as well, because last season they lost twice at the Anfield. And now they remained unbeaten since the start of the season. And remained leaders, too. Burnley on the other hand are 12th in the Premier League standings with 8 points won so far. Their record shows 2 wins, 2 draws and 4 losses. Burnley had a tough period since the start of the season, but now they are in a run of three consecutive games without a loss (two wins and a draw). It seems that they are stabilizing after a difficult beginning. It’s good for them, because they need as much points as they can win in order to survive. Last season Burnley had a very good campaign and finished 7th, but every season is different, of course. This is our look at the Premier League game between Manchester City and Burnley at the Etihad Stadium.